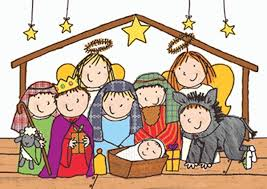 Today was the children’s school nativity for the Infants. A very admirable feat to have all 80 children telling the simple story, so there were lots of narrators, animals, shepherds, stars and angels. Little man was a sheep and Little Miss a dancing angel. We have practised the songs for weeks now at home and I have enjoyed singing all the carols from my childhood, I was delighted that my favourite Little Donkey featured, I have such lovely warm, fuzzy feelings of that song. I think that with all the Christmas festivities its very important to remember the real story of Christmas and I’m delighted the children’s school celebrate the nativity. This is one of my favourite parts in the build up to Christmas, the tradition and innocence of the play. It was as every nativity has always been, pillowcases as angel dresses, shepherds with tea towels as headdresses and lots of homemade accessories. It really was a beautiful and moving interpretation. I did have a very pleasant surprise when Little Miss sang a solo of the last verse of We Three Kings, she had ‘forgotten’ to tell me that she had been chosen as the soloist. She is so relaxed about such a role, she takes it in her stride and sings so confidently and beautifully. I like that she didn’t boast of her role, she saw herself simply as one of the cast and at home she was more focused on her dance routine. I was very close to tears at this afternoon’s nativity, not only because of Little Miss’ solo but that this year, Little Man enjoyed the play and remained on stage, happy and confident during the performance.